Democrat Andy Penry, chairman of the Bipartisan State Board of Elections and Ethics Enforcement, resigned Saturday. In his resignation letter, first reported by The Washington Post, Penry said he didn’t want controversies surrounding his partisan statements to prevent a fair investigation of alleged voting irregularities in the state’s 9th U.S. Congressional District. Earlier this week, Wake County GOP Chairman Charles Hellwig called for Penry to step down, based on a series of Penry’s tweets attacking Republican voters, candidates, and elected officials. 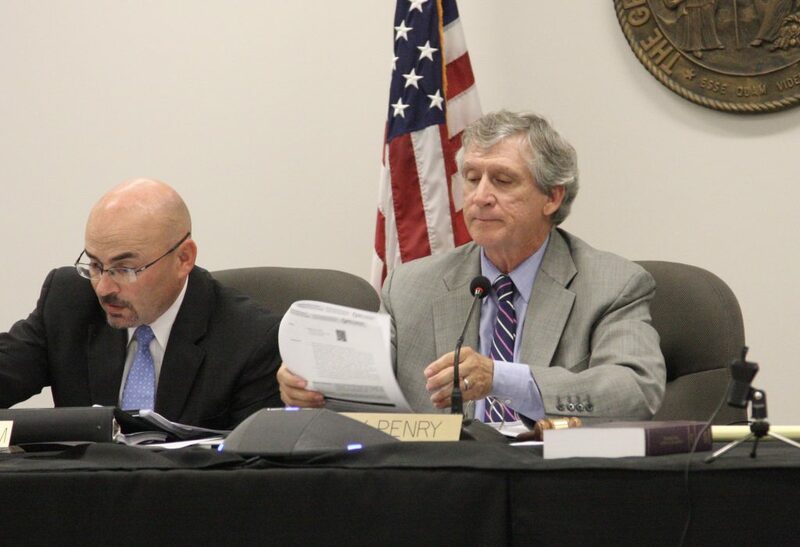 The board voted Friday 7-2 to launch an investigation of potential voter fraud in the 9th District election, in which Republican Mark Harris held an unofficial 905-vote margin over Democrat Dan McCready. The board refused to certify the results in that contest. Reports of possible problems with absentee ballots, mostly in Bladen County, led to the board’s vote. Also Friday, a three-judge Superior Court panel told legislative leaders it would delay to Dec. 12 a court order dissolving the board. The court ruled in October the board was unconstitutional, but let it remain in place through the election cycle, which was supposed to end with certification of all races Dec. 3. The court’s stay will give lawmakers and Democratic Gov. Roy Cooper more time to work on a replacement elections panel.